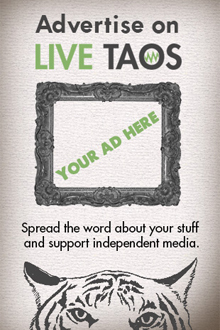 It’s been one hell of a summer for live music in Taos, with plenty more on the way. 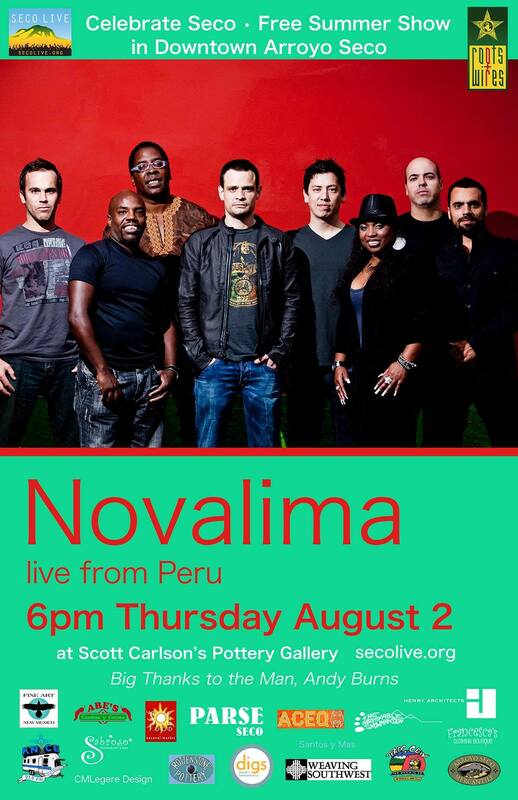 This Thursday, live from Peru, Novalima brings their big Latin Electronica sound to everyone’s favorite little village, Arroyo Seco! We’re always huge fans of these outdoor Celebrate Seco shows, hosted at Scotty Carlson’s pottery gallery. The shows bring joyful crowds to dance it out in the fresh mountain air — keep an eye out for local dance legend Rick Haltermann shaking it near the stage. There are only two rules: don’t park on the Hondo Seco Road, and don’t take any open containers outside the venue area. The show is free, but donations are encouraged (and gratefully accepted). Thanks as always to Roots & Wires and Seco Live for bringing outstanding music right to our front door!